North Carolina knows rapid prototyping and 3D printing. N.C. State University, Duke University, UNC Chapel Hill and the Research Triangle Park anchor the Raleigh-Durham-Chapel Hill area, making the region a hotbed of rapid prototyping on the East Coast. The Tar Heel State also has (as of February 2017) more than 326 3D Hubs within its borders and 3D-printing work labs spread throughout the campuses of its post-secondary schools. To get to know 3D printing in North Carolina, start with the innovators and look to the area’s large amount of colleges and universities. Chapel Hill’s altruistic star shined bright in 2014, when UNC biomedical engineering major Jeff Phillips created a prosthetic hand for a local 7-year-old born using a 3D printer and 3D printer filament from UNC’s biomedical engineering lab. At a cost of about $20 for the filaments, the prosthetic allowed the child to grasp objects for the first time, and contributed to advancement in the field of prosthetics. Aly Khalifa, TEDxer and cofounder of Raleigh-based Designbox, approached leather shoes’ resistance to biodegradability by starting LYF shoes, which makes modular footwear without adhesives. LYF shoes not only break down easier than leather shoes, you can repair them or print new uppers and soles, which consist of an insole, performance plate, heel lock and sole, using a 3D printer. Author and entrepreneur Ping Fu and 3D printing go way back — all the way to 1997 when she co-founded 3D software firm, Geomagic — and she hasn’t stopped since, now serving as 3D Systems‘ Chief Strategy Officer in the Research Triangle Park. 3D Systems produces the Figure 4 printer, which prints 50 times faster than conventional SLA 3D printing systems and puts out about four billion drops of 3D printing filament per minute. N.C. State’s J.B. Hunt Jr. Library features a Makerspace workstation that offers a 3D scanner and three 3D printers — a Fusion F306, a Formlabs Form1+ and a Stratasys uPrint SE Plus — for faculty, staff and student use. 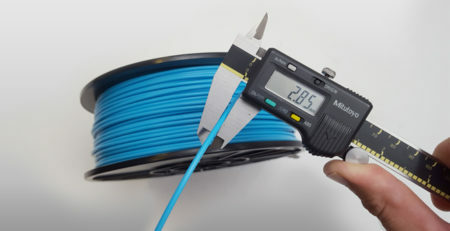 Hunt charges $10 per cubic inch of ABSplus, 35 cents per gram of PLA filament and 60 cents per milliliter of photopolymer resin. The Makerspace at NCSU’s D.H. Hill Library provides students and staff with a host of 3D printing software, including Autodesk Fusion 360, MakerBot Desktop and Blender. Duke University offers the U.S. education system’s largest 3D printing facility, with a 24-7 lab that features 56 3D printers. In addition to commodity printers, Duke researchers work with state-of-the-art equipment and technology, such as PolyJet, laser sintering printers and the Carbon 3D SL process. Wake Forest University in Winston-Salem leads the nation in the bioengineering application of 3D printing technology. Research scientists and students at Wake Forest School of Medicine, for example, made 3D printing of human tissue reality by crafting body parts and organs using live cells sourced from patients. Led by Dr. Anthony Atala, the team makes ears by printing a scaffold of the ear and grafting cells onto it, and makes solid organs, such as bladders, by printing the organ’s structure using polymers and living cells and creating channels that deliver nutrients and allow capillaries to form. Wake Tech Community College in Raleigh has a robust 3D printing program that includes courses for enrolled students and Model 3D sessions open to both students and the general public at the main and northern campuses. Wake offers six courses that incorporate 3D printing in their syllabi and a stand-alone specialized certification course in 3D printing. Wake Tech also offers a 3D Hub for fabricating designs. 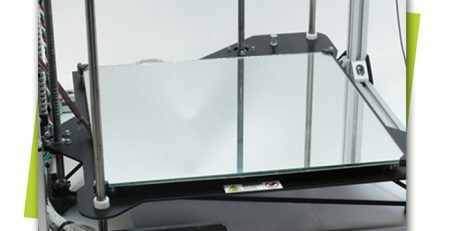 Central Carolina Community College (CCCC), with campuses in Chatham, Harnett and Lee counties, offers Associate degrees, vocational certifications and diploma programs in computer-aided drafting technology that rely heavily on 3D printing and CADD modeling and design software, including Inventor, SolidWorks, MasterCam and AutoCAD. Randolph Community College in Asheboro provides two-year degrees in interior design that require on-campus training in 3D modeling and printing with the design lab’s Mcor Matrix 300+ industrial printer. The curriculum includes training in SketchUp, Photoshop, Adobe Illustrator and InDesign. North Carolina boasts a number of private primary and secondary schools, such as Ravenscroft Prep School in Raleigh, Peak Charter Academy in Apex and Cary Academy in Cary, that make 3D printing technologies part of the curricula starting as early as ninth grade. Cary Academy, for example, includes study in architectural design, designing and fabricating scale models of structures, such as the school’s campus. 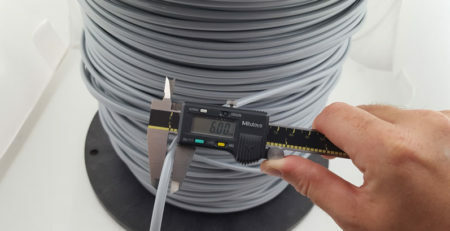 Check out MakeShaper next time you’re in the market for high-quality 3D printer filament. 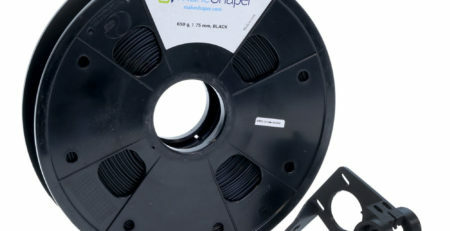 Based in Sanford, MakeShaper is North Carolina’s largest 3D printer filament maker. More than a manufacturer, MakeShaper is made of individuals active in the rapid prototyping scene on both personal and professional levels.